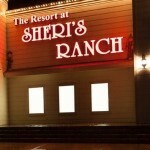 Does Sheri’s remove the profiles of ladies who have left the ranch? I don’t mean ladies who may not be scheduled for a while, I mean those who have left and don’t plan to return. I know Kamala has left for good and I’ve heard that Erin has retired, yet their profiles are still on the website. There are lots of lovely ladies at the ranch that I’m sure I’d enjoy spending time with but Erin was special and so amazing that I’d hoped to party with her again so I keep checking her schedule and remain disappointed! I believe they do it eventually. Maybe it remains a while, in case a lady changes here mind about retirement? Generally, unless the lady specifically asks for them to be taken down, they stay up. Many ladies who do retire, come back so we like to have everything in order when they do return. Sounds reasonable, especially if they come back after “retiring”. I haven’t checked in lately so I’m just seeing this now, but the post from Sheri’s Ranch Client Relations stating that Erin didn’t ask for her page to be taken down gives me reason to hope that maybe, just maybe, she could return to the Ranch. Even if there’s just a 1% chance that I may have a chance to party with her again, I’m going to make a point of stopping by here at least once a month to see if she’s scheduled or if her page has been removed. I don’t mean to sound obsessed but she was amazing in every way and even if she wasn’t my first, I’d still like to spend time with her again! Maybe she will return. Once a month check maybe be good enough for schedules posted up to four months out. Good luck.